. Detailed work by hundreds of volunteers, spread across woodland and farmland sites, was the starting point for bird monitoring. By making at least ten visits and mapping all birds seen and heard, it was possible to establish the number of territories on each site. 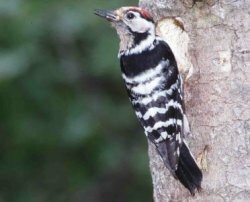 The maps themselves are still used by researchers trying to understand the demise of species such as Lesser Spotted Woodpecker, for instance. CBC closed in 2000, after an overlap period with the more extensive Breeding Bird Survey. Following a lot of discussion at committees, the BTO decided to tackle what many people considered would be an impossible task – to visit every part of Britain & Ireland in the breeding season, in order to establish which birds were where and, where possible, to confirm breeding. This Atlas formed the basis of the first definitive distribution maps of the birds of these islands. Without this set of maps, we would not have evidence of the huge losses in farmland bird numbers that would take place over the next twenty years. Birdwatchers today are very grateful to this ‘can do’ generation who wanted to count and map birds, just to learn more. The second twenty-year period of the BTO was quite species-focused.The archives tell the sad tale of the Wryneck, in a survey covering the period 1954-58, but the happier story of the arrival of Little Ringed Plovers, that found gravel-pit sites very much to their liking. Other survey species included Nightjars, Mute Swans, Black-headed Gulls, urban Starlings and Great Black-backed Gulls. We guess that people who volunteered for the 1954-56 Buzzard Survey would be astounded by the current distribution, as revealed in Bird Atlas 2007-11. Opportunities were taken to collect all sorts of data, on topics such as the seawards migration of Swifts and on the locations of Treecreeper roosts in the soft bark of Wellingtonia trees. Learn more about past surveys here. Most birdwatchers today will assume that BirdTrack is a new idea. The technology might be but, over the period 1962 to 1965, a group of BTO volunteers collected similar lists for the Inland Observation Point survey. There was already a strong, coastal bird observatory community but here was a way to collect complementary information closer to home. These data are currently being analysed alongside on-line BirdTrack data, to look at changes in the timing of spring and autumn migration. At the time IOP forms were filled in the BTO did not have the computer power to tackle this huge data-set but volunteers have now computerised the information. As mist nets became available, so the potential to study more species was opened up; now they could be caught anywhere, and not just at a coastal migration site in Heligoland traps. 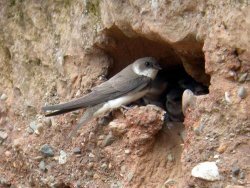 The number of ringers grew and they took on new projects, such as the Sand Martin enquiry. “In the autumn of 1958 a small team of ringers in Metropolitan Essex trapped nearly a thousand migrant Sand Martins as they passed along a narrow insignificant river bordering an urban sewage farm”, wrote Robert Hudson in Bird Study. By 1968, the Sand Martin total had increased by 421,700 birds. This old poster tells the story. As Britain developed, so pressures were put on the invaluable estuaries around the country. Here was space that could be used for electricity generation (yes – 50 years ago), industrial development, reclaimed for agriculture or engineered to create fresh water reservoirs. 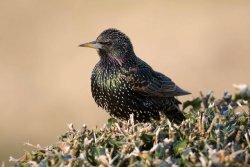 The Birds of Estuaries Enquiry began in 1969, as a joint BTO and RSPB project. Birdwatchers knew that estuaries were important but now they had hard numbers, revealing just how many waders and other birds were dependent upon sites such as The Wash and Morecambe Bay. In 1993, the BoEE was broadened to integrate coastal and inland counts – the Wetland Bird Survey was born, with the help of JNCC and WWT.